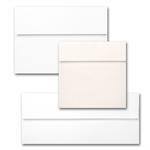 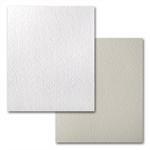 CANALETTO is a high quality furnished paper, made with 20% cotton. This paper is an elegant product which is pleasant visually and to the touch. Canaletto's elegant cotton enhanced paper with a true felt finish offers good results with letterpress, engraving, foil stamping, embossing, die cutting and offset printing.